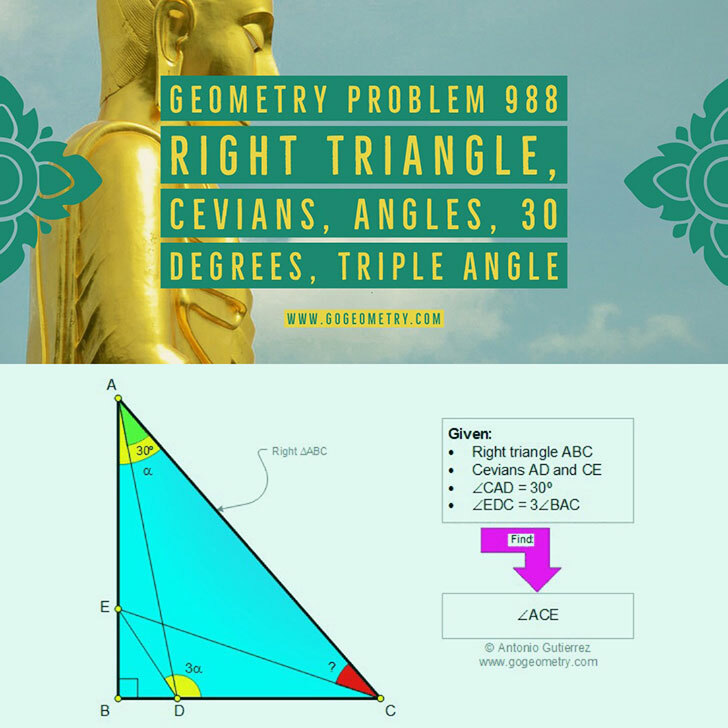 Geometry Problem 988: Right Triangle, Cevians, Angles, 30 Degrees, Triple Angle. Math teacher Master Degree. School, College, SAT Prep. Elearning, Online math tutor, LMS. The figure below shows a right triangle ABC with the cevians AD and CE so that the measure of angle CAD is 30 degrees and angle EDC = 3 angle BAC. Find the measure of angle ACE. Only elementary geometry is allowed (no trigonometry).